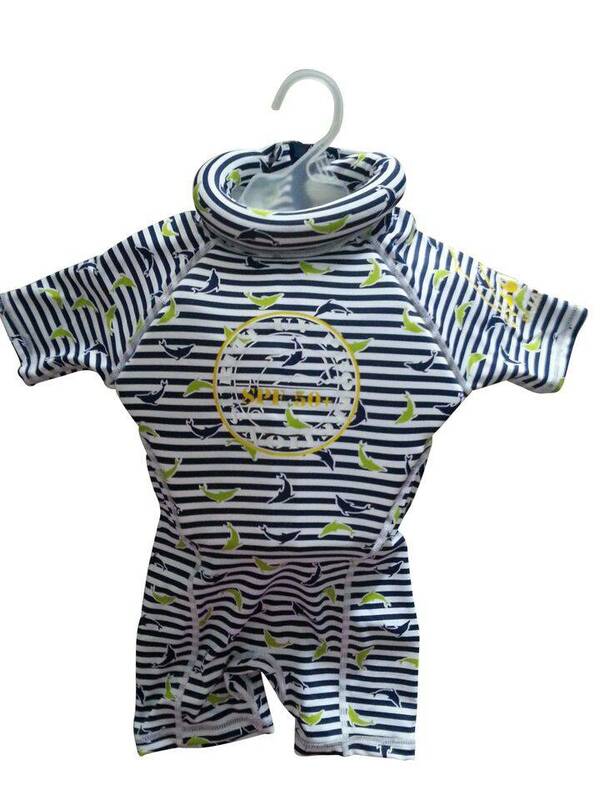 Floatsuit for boys in blue and white. Swim safely in the water and also have a UPF50+ sun protection ! 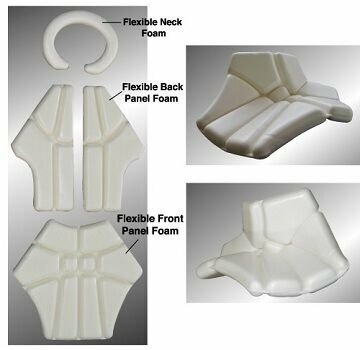 The SWIMSAFE Floatsuit is made up of a full swimming suit with built in panels of thermo foam around the body and the neck, leaving your child’s legs and arms free, in turn allowing your child to swim freely and naturally. 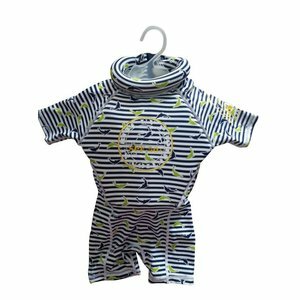 The swimsuit material is a durable Lycra with a UPF 50+ rating, protection your child’s delicate skin against the suns harmful rays. An important feature of the SWIMSAFE Floatsuit is the patented 'Ring of Confidence' around the neck, helping to keep your child’s head above water.